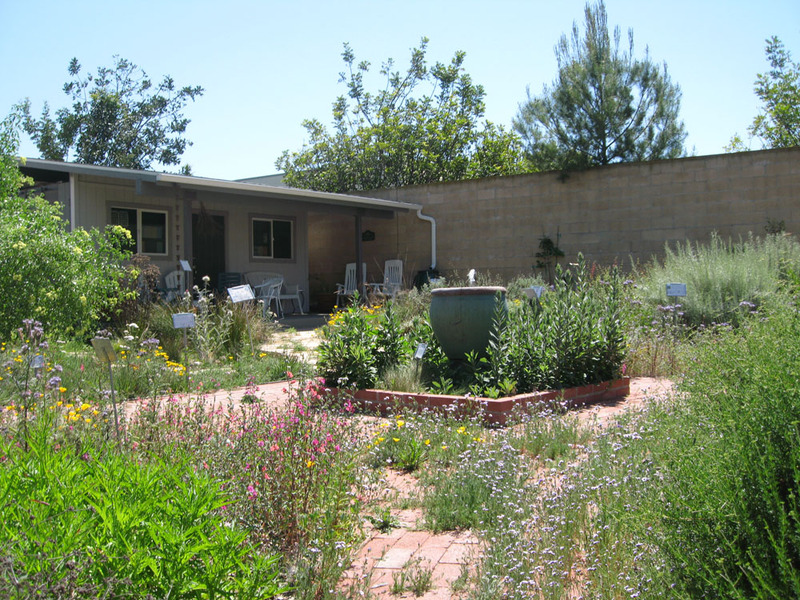 Habitat gardening is becoming popular in the United States and elsewhere. There’s something satisfying about planting a garden that attracts a wide range of birds and other creatures. Many gardeners dream of a garden filled with butterflies and birds. But how realistic is that dream? And how long will it take for a new garden to meet those expectations? One thing gardening teaches us is patience. The best garden features – shade trees, large flowering shrubs, nesting birds – take time. But you’ll probably see some changes right away, when you begin to garden for habitat. For example, a water source and fast-growing flowering plants begin attracting insects and birds the first year. Birds and insects will start coming to a water source almost right away. Water is scarce, and creatures are skilled at finding it. Install several water sources to supply this critical resource. Any native that flowers will start attracting some pollinators. There may not be very many pollinators the first year, but annual wildflowers, perennials and flowering shrubs will see some activity the first year. Any plant that produces seeds will attract some seed-eating birds (like gold finches and white-crowned sparrows) particularly in late summer and fall. The more annual wildflowers, the more seed eaters you’ll see the first year. 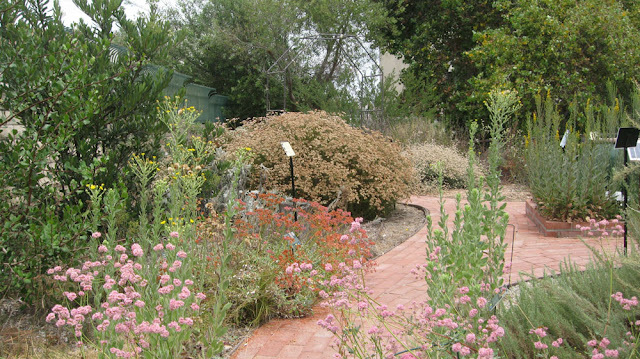 Years 2 and 3: sub-shrubs are larger; annuals still play key role. Flowering perennials, shrubs and sub-shrubs become larger, producing more blooms. These attract noticeably more insect pollinators and hummingbirds. We suggest planting annual wildflowers, in open spaces around shrubs, to create still more spring-summer pollinator food. If desired, begin to photograph and document the insect and bird species visiting your garden. As shrubs and trees grow, more use of them as perches and cover by birds and small creatures (lizards). So you’ll see more of the common birds. More summer-fall, seed-eating migratory birds will pass through, as food sources increase. They will likely come as small flocks, and won’t stay long. Years 4 and 5: even larger shrubs are maturing. As perennials and shrubs mature, noticeably greater numbers and more species of insect pollinators. May start seeing some rarer native bees, flower flies. Photograph and document these – you may be surprised! Insects, including butterflies and other pollinators, begin reproducing in the garden, if larval food sources are available. Dragonflies and damselflies start to reproduce in earnest in dragonfly ponds. You’ll see more adults even without a pond, due to increased insects. Increased numbers of insect-eating insects (Robberflies; predatory wasps). Insect-eating birds increase noticeably. Watch for Phoebes, Kingbirds, Swifts, Swallows, Flycatchers, Mockingbirds, Bushtits. 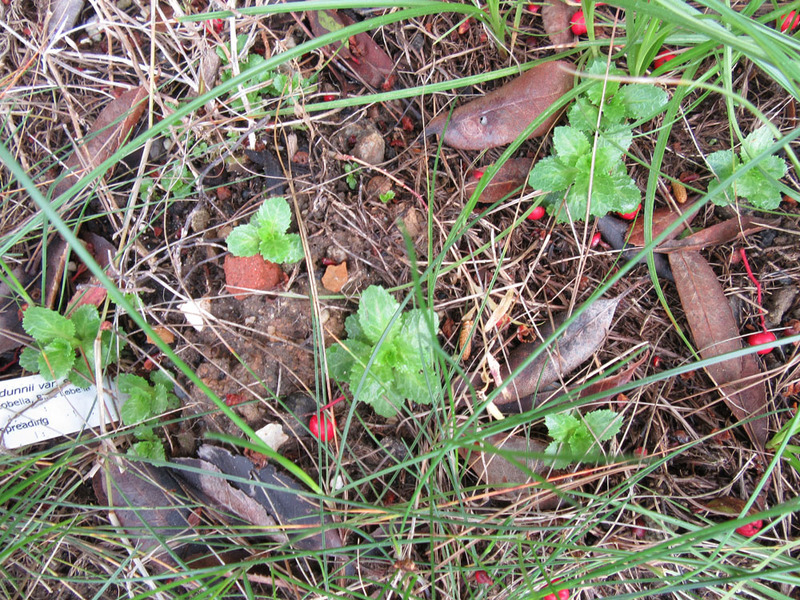 Established plants provide wild greens and leaves for tea or medicinal use (depending on what species you’ve planted). If you have hummingbird plants, regular visits from Anna’s & Allen’s hummingbirds. If trees are large and dense, some common birds begin to nest: Northern Mockingbird, House sparrows, House finch. Regular visits from seed-eating finches, other migratory seed-eating birds. White-crowned sparrows and Lesser goldfinch may become regulars. 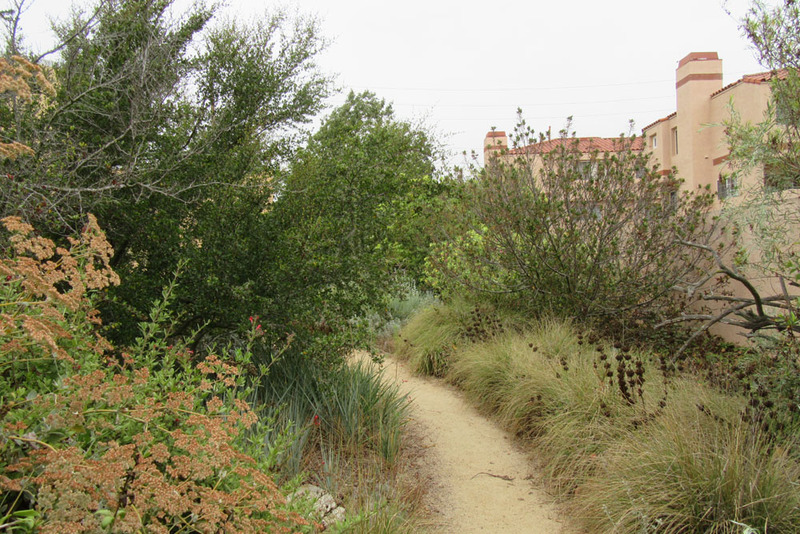 As leaf mulch and seeds build up, visits from ground feeding birds: California towhee, White-crowned sparrow, Doves. Years 6 through 10: As garden matures, more creatures nest in the garden. Greater diversity of insect pollinators as flowering plants mature. Most gardens at this stage supply food for literally thousands of individual pollinators. Consider adding plants that attract specialist pollinators: mallows, Annual sunflower, Malacothrix species, Oenothera species. Greater number of bird species, including those that specialize in insects or fruits. You may even see flocks of Cedar waxwings, Bushtits, songbirds in fall or winter. Plenty of edible fruits for your family as well (if you’ve planted currants & gooseberries, elderberries, strawberries, wild rose). More birds nest in large shrubs, woody vines and trees; greater diversity of nesting birds, including Bushtits, Northern mockingbirds, Orioles and others (depending on the trees). Consider adding seating in areas with good views of birds, butterflies. You can do some serious nature observation from this point forward. Regular visits from dragonflies and swallows, phoebes, flycatchers. The increased numbers of insects are a magnet. Regular nesting of hummingbirds. Visits from migratory Rufus hummingbird are possible (they are the really feisty, copper-bronze colored guys). More insects, including butterflies and native bees, complete life cycle in the garden (depending on availability of larval food and nest sites). Consider providing nest sites for ground- and wood-nesting bee species. Mature garden is a functioning ecosystem. The garden should be a functioning ecosystem, both above- and below-ground. Many species of pollinators visit and complete their lives in the garden. Add seasonal flowering plants – or those that attract specialist pollinators – as needed. Don’t forget the shady areas of the garden. 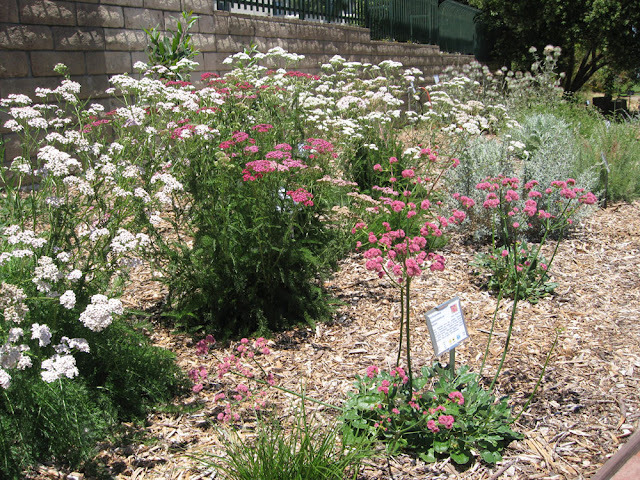 Some of the shade-loving perennials are great habitat plants. Replace dead plants with new ones that flower and produce fruits or seeds. Choose species you like, including some unusual ones. Expect some turnover in garden plants – that’s natural. Fill in open spaces with annual wildflowers until new plants get bigger. There should be birds in the garden most of the time. Birds can be observed conducting all of their usual activities. The water sources are great places to bird-watch, utilized by both the ‘regulars’ and exotic migrants. Natural leaf mulch/duff supports wide range of creatures, from insects to salamanders, lizards and others. Take an opportunity to observe this interesting community occasionally. The duff teams with life! Congratulations! You continue to create wonderful habitat for creatures who need it. As green space shrinks – and climate changes stresses wild areas – garden habitat becomes ever more important. Keep up the good work! By August, the only perennials blooming in Mother Nature’s Backyard (other than the buckwheats) are those in moist, shady places. 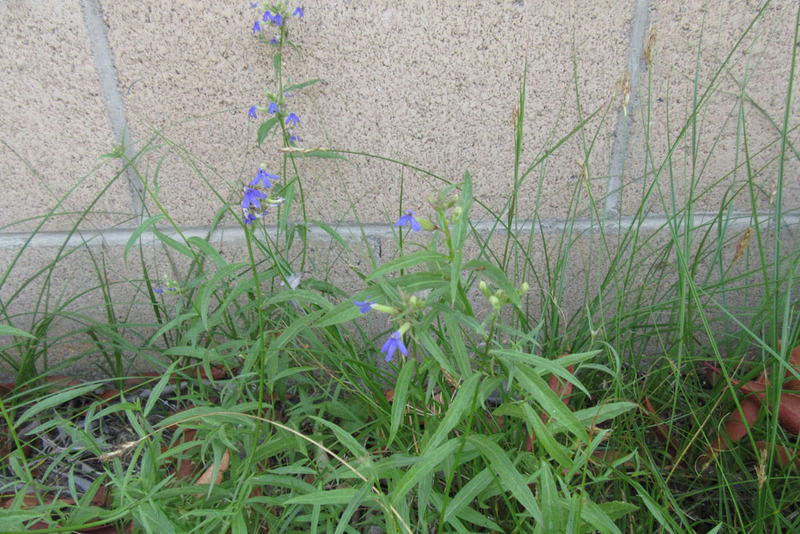 One pretty little perennial, blooming for the first time this year, is the Dunn’s lobelia. The scientific name is pronounced low-BEE-lee-uh DUN-ee-eye sir-RAY-tuh. 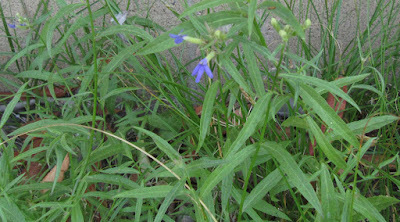 Dunn’s lobelia (sometimes also called Blue lobelia and Rothrock’s lobelia) is a California member of the Campanulaceae, the Bellflower family. This family has 80+ genera and about 2400 species worldwide, mostly in the Northern Hemisphere . Included are garden favorites like the Campanulas and the Lobelias. 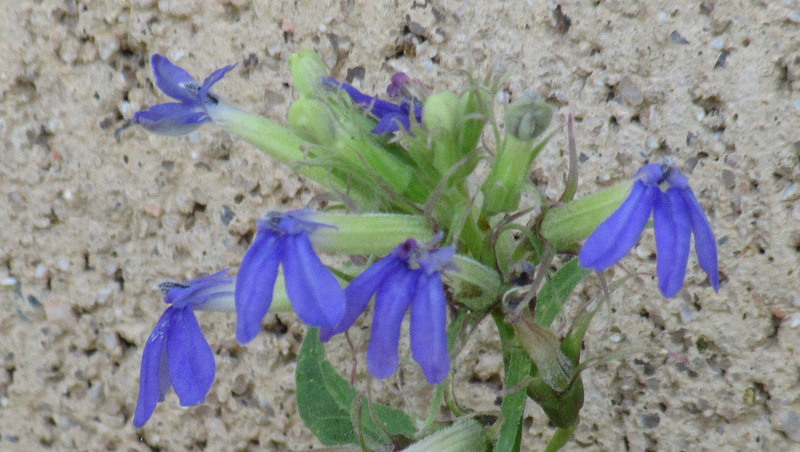 As suggested by the common name, the flowers of the Campanulaceae are bell-shaped and often blue or violet colored. 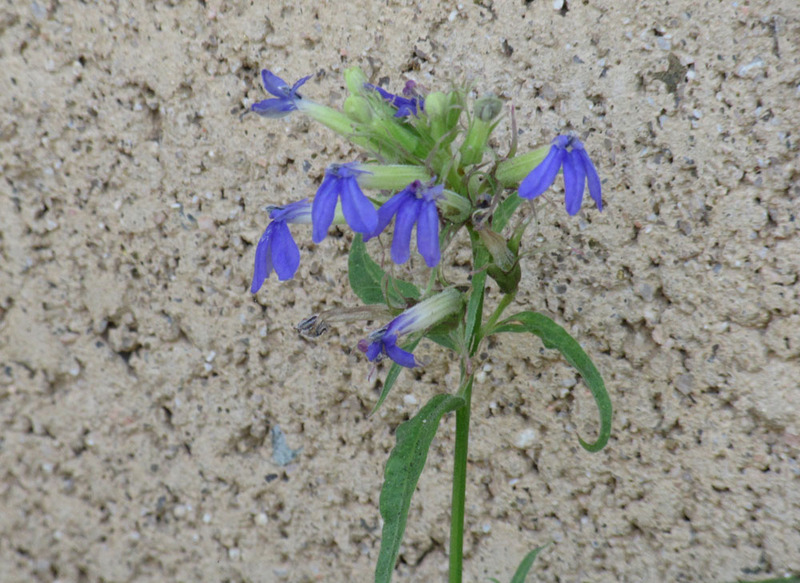 The genus Lobelia is well-known to gardeners. Ornamental cultivars spread their old-fashioned charm under trees and along shady pathways. They take a little extra water, and so are useful for naturally moist areas. While some are annuals (or treated that way), perennial species have the added advantage of coming back, year after year, in a welcome splash of green and blue. 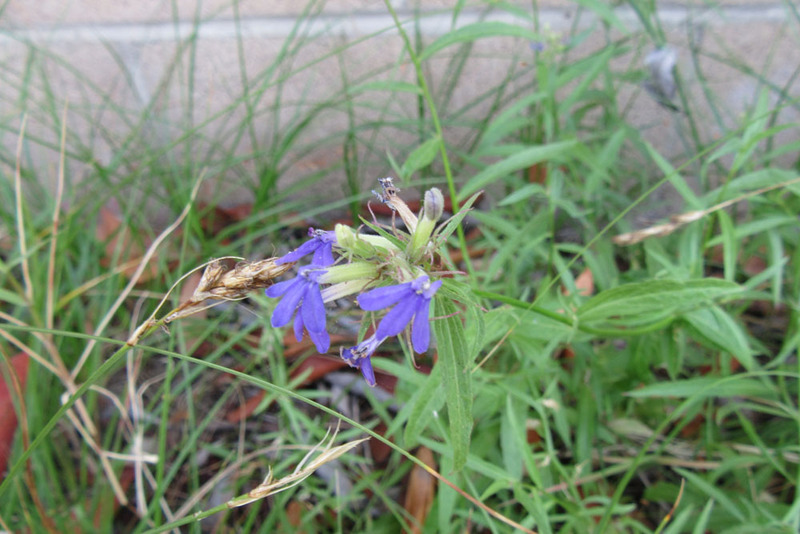 No wonder gardeners like the Lobelias. 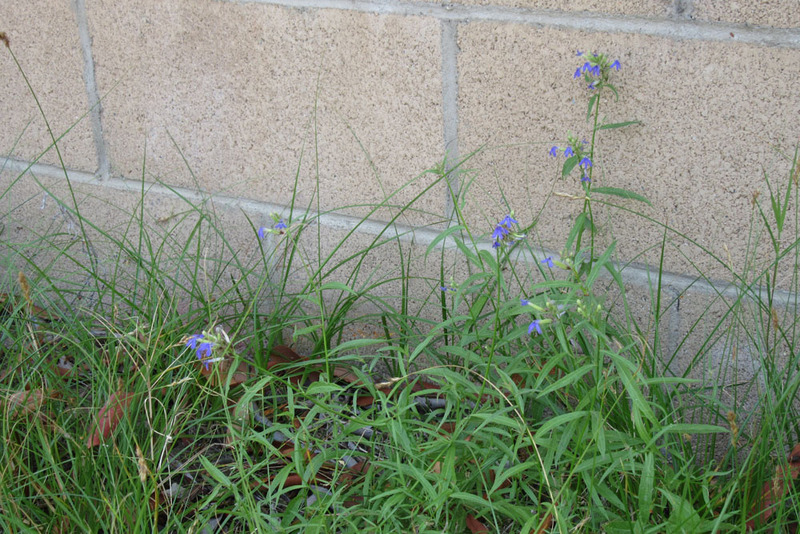 Only two Lobelia species are California natives. Both Lobelia cardinalis and Lobelia dunnii are native to the mountains of Central (Santa Barbara and Ventura Counties) and Southern California. They also grow along the Monterrey County coast. Where ever they are found, they favor shady, moist areas: canyons, seeps, rocky stream banks, the edges of waterfalls – you get the picture. There is current debate about the proper taxonomic status of Lobelia dunnii. Some have proposed reverting to an older taxon, Palmerella debilis, first proposed by the eminent 19th century taxonomist Asa Gray . 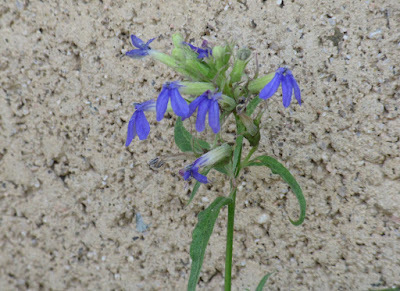 The California Lobelias do have a distinctive appearance, and may well deserve a genus of their own. 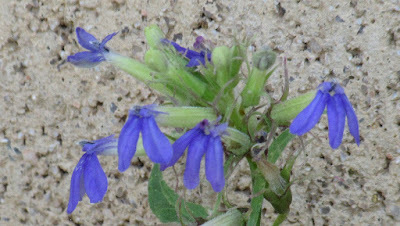 But since most native plant and garden folks know Dunn’s lobelia as Lobelia dunii, we’ll stick with that name for now. Lobelia dunnii var. serrata, the variety we’ve got in the garden, can still be found in the canyons of the San Gabriel and San Bernardino Ranges, as well as on Santa Catalina Island and in northern Baja California, Mexico. It was first collected in the 1800’s and grows in moist places in Coastal Sage Scrub and Chaparral below about 4500 ft. (1400 m.). If you hike the moist canyons below San Antonio (Mt. Baldy) and Ontario Peaks in the San Gabriels, you may have seen it along the streams. Like most local perennials, Dunn’s lobelia dies back to the ground in fall, to emerge again with the winter-spring rains. If you continue to water it, the plant will remain green into early fall – then let it dry out and rest. 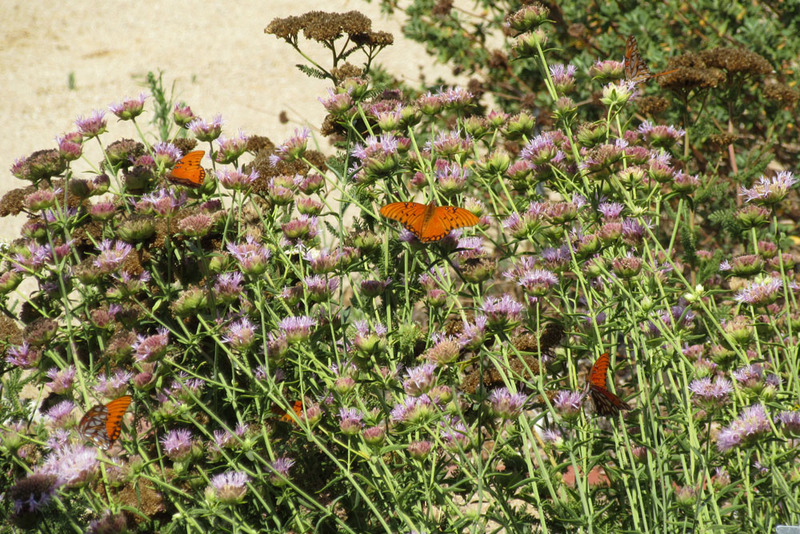 Most S. California perennials really do need a period of rest in the fall. If you don’t know what you’re looking for, you may miss the emerging stems (see above). 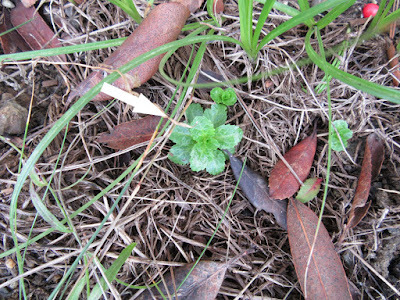 The emerging leaves look quite different from the leaves of the mature, summer plant. If a plant is happy, it will send up more sprouts each year, and spreading to a 2-3 ft. patch. Plants also re-seed in local gardens. 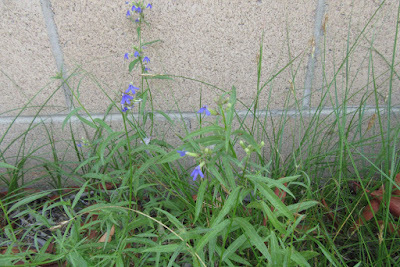 Dunn’s lobelia is an herbaceous perennial, growing at most 12-18 inches (30-45 cm.) tall. It is sometimes erect, but as likely to be somewhat sprawling (decumbent) of habit. 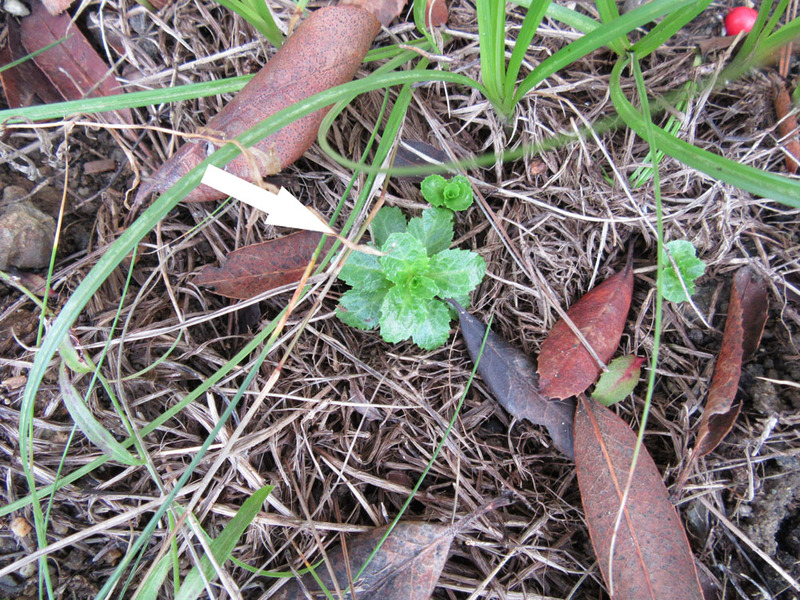 The leaves are a fresh spring green, elongated and becoming slightly smaller up the stems. 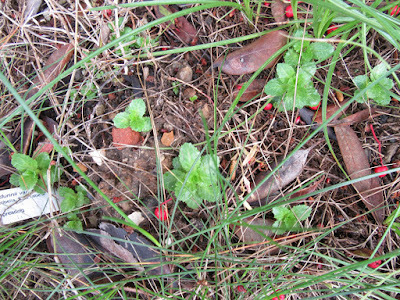 The foliage is quite open; not shrubby, but rather a delicate, lacy groundcover, somewhat mint-like in appearance. The flowers are cottage garden pretty – small and pale lavender or blue. The flowers may be up to 1 inch (2.5 cm) long. They are clustered at the tops of the stalks. As flowers open over time, the total bloom season may be a month or more. The petals are fused into a long tube, with 5 lips. The lower three lips are elongated and extend down. The upper two lobes are curled tightly back – a unique appearance (see below). The flowers are loved by long-tongued butterflies; this plant is often planted specifically to attract them. 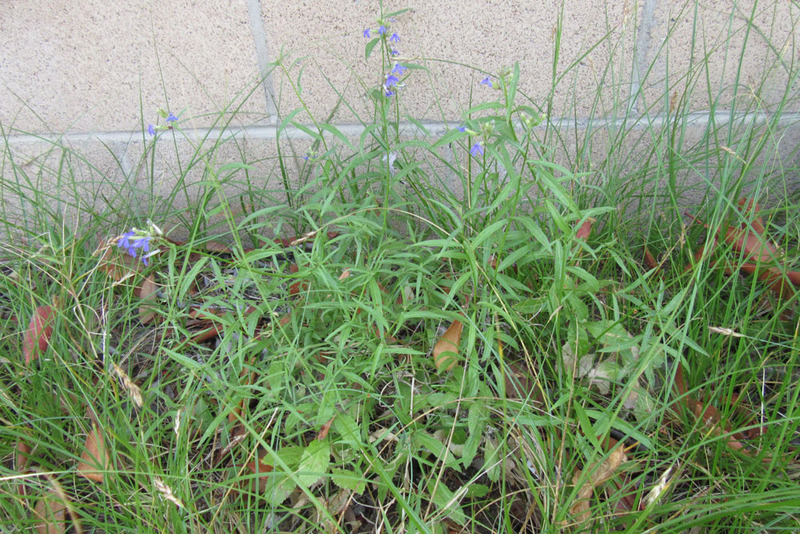 Dunn’s lobelia will grow in most local soils (except salty or alkali), though it prefers a rich loam. It does fine in our local clays. We’ve been most successful growing this plant on the north side of a tall wall. It would also do well in dappled sun under trees. We’d only try it in fall sun at the edges of a pond. This is a species that likes moist soils - it can even take winter flooding. Regular water through the bloom season is probably best. We give ours (in clay) a deep soaking every 3 weeks in summer, then taper off in early September. That’s really about it. Lobelia dunnii is a perennial to tuck into shady, moist places. 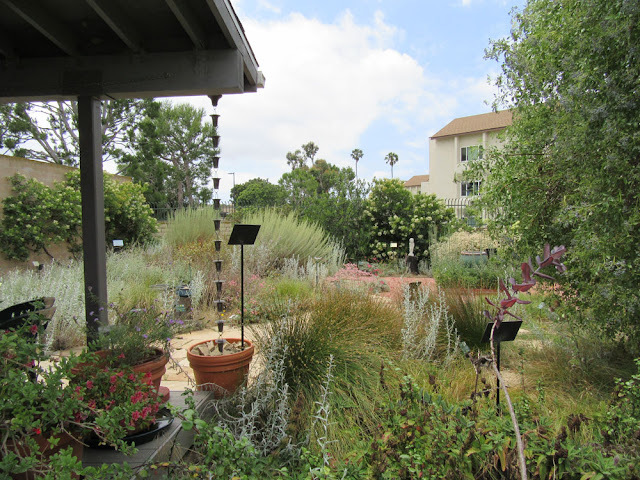 It does well with native grasses, sedges, juncus, Solanum, Nicotiana and others that like a little extra water. We’d love to try it in a moist pot on a shady porch. It’s not a garden diva. But it’s charming as a violet is – simple, sweet and unassuming. And then there are the butterflies! In summary, Dunn’s lobelia is a wonderful little perennial. If you have a moist shady spot – or can create one – this might be a butterfly plant to try.